The Phoenixville Public Library’s Computer Center is located across from the Circulation Desk in the Adult Library. We have computers, printers and a scanner available for your use. Free Wireless Internet access is available in all public areas of the Library. 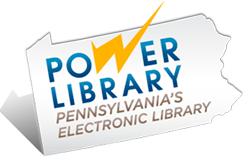 Public laptops are available for free in-Library use (library card & photo ID required). Valid Chester County Library System Card required. Guest passes available for visitors. 2-hour use limit per day. Computers may be reserved in advance. No food or drinks permitted. Use of computers is FREE. Printing 25¢/page B&W, 35¢/page color. CD-RWs 50¢/disk – available at the Circulation Desk. Flash drives $8.00/drive – available at the Circulation Desk. Headphones available at the Circulation Desk with valid library card/ID.